June went by in a whirlwind! 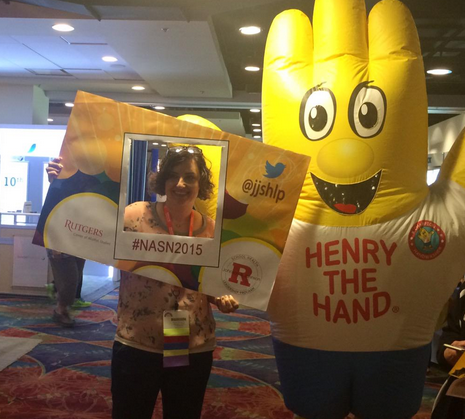 #NASN2015 was just a few weeks ago, and I attended as not only a poster presenter, but an exhibitor with the Johnson & Johnson School Health Leadership Program. I was so fortunate to be asked to participate in the exhibitor booth with many other past fellows of the program. We were able to share details of the program with many school nurse colleagues, and meet some of the new Fellows who will be coming through the program in July. I am having fun running the @JJSHLP Twitter feed, and we took a lot of pictures during the conference at our booth. Check out their Facebook page, as well as the JJSHLP website for more details on the program. Also in June I finished up school on my campus, and said goodbye to a lot of wonderful families, students and teachers from the elementary school where I worked. I love that I can stay connected with many of them through Facebook and other social media channels. It will be so nice to watch my former students grow up from a distance. The end of school was bittersweet, though. I have worked as a school nurse for the past six years, and I can honestly say they have been six of the most productive years of my career, in terms of opportunities and advancement. I remember vividly a colleague trying to dissuade me from entering the school nurse profession, on the basis that it would stall my career, and hurt me professionally. As this was someone I admired and respected very much, her words did give me pause. But I went forth anyway, and have never looked back and/or regretted any decisions during my school nurse career path. It has opened me up to a multitude of new opportunities that I honestly do not think I would have discovered in another nursing specialty. I have been connected to several mentors that have helped and encouraged me along the way. I learned a lot about myself, and on the rare occasions when I look back on my past professional journey prior to school nursing I cringe at how I handled many situations. I’ve learned from all those experiences, however, and going forward I now know what not to do. I’ve also learned not to let others limit my thinking as to what I should or should not try to do to grow myself professionally. And by that I don’t mean I just go blazing into new opportunities without seeking guidance from mentors and other colleagues. 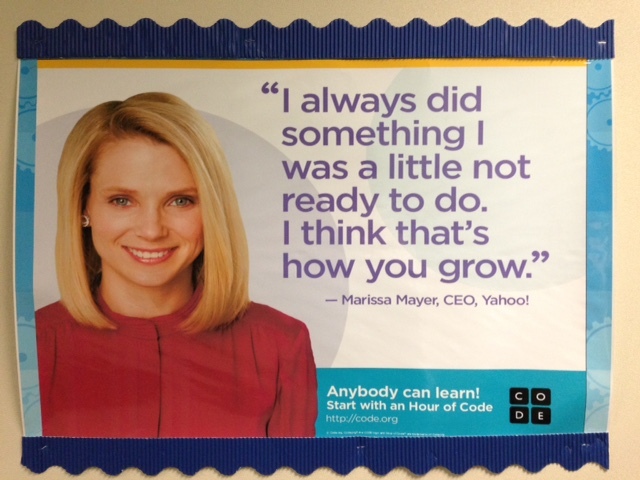 But now I don’t limit myself to “Well, I’m just a nurse, and since I’ve never done XYZ before, I can’t do it now.” I love the quote from Marissa Mayer above- it was a poster on the wall of the elementary school I worked at, and it really struck me the first time I saw it. I snapped a pic of it, and refer to it often, when I am thinking about starting a new venture.